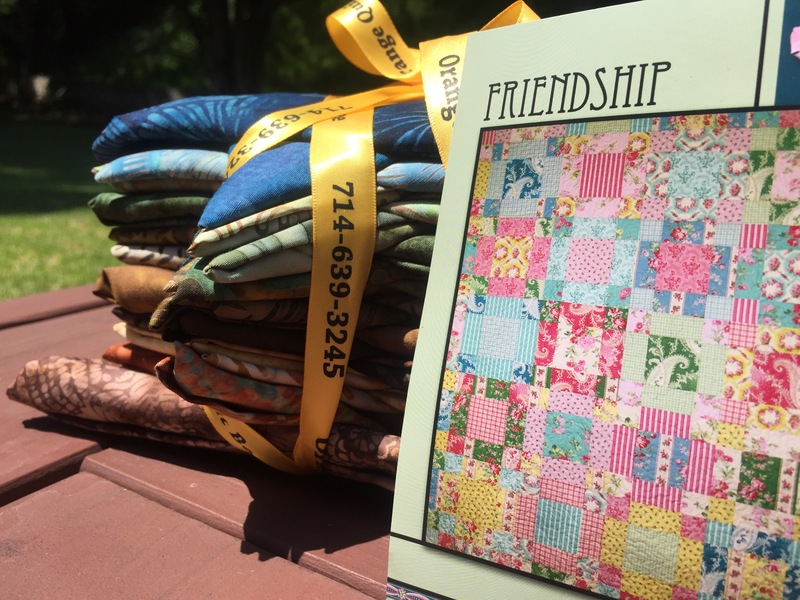 August 19, 2015 August 18, 2015 / Katie V.
Not too long ago, my parents gifted me this kit called the Friendship Quilt with a set of beautiful batik fat quarters. It’s got a very earthy toned look to it all and I simply loved the basic pattern that came with it. You can check out all my pictures of the fabrics in my first post here. In the time since that first post and our last podcast, I’ve made some MAJOR progress on this quilt. It started out with just making the cuts and organizing the whole thing. Now I’ve made it through piecing everything together and sewing my first rows. I’m 3 down, 2 to go! I decided to chronicle this post with a few vlogs on our YouTube channel starting with the whole process of deciding how to pair my fabrics. I was torn between allowing the pairings to be randomized OR putting some thought into it and going about piecing my blocks systematically. In the end, it all worked out and now I have three beautiful rows. I have two more to finish and then the border to piece together. I’m loving how fast this top is coming together AND how big these blocks are ending up. I feel like I’m doing half the way but getting double the quilt top due to the size of these massive blocks. I’m looking forward to finishing this one and seeing it all together. 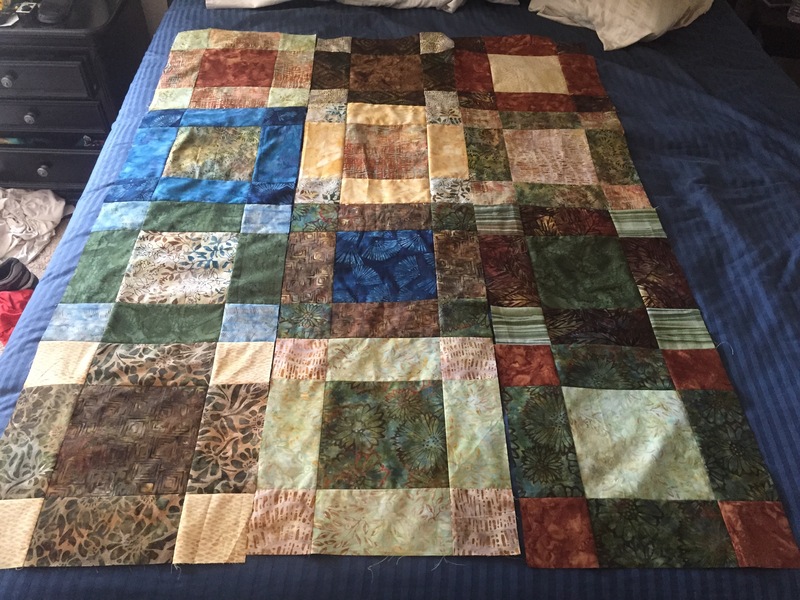 I love 95% of this quilt and the other 5% are all those browns. Just not in love with them though they do serve a purpose. I like the pattern on this one. Love the blog name Hobbies Up To Here since that is exactly how it is for so many of us. Not sure if my last comment took since I had to log in, but I love this pattern, and the name of your blog too. It is coming along so well! I love it! Thanks Cathy! I’m excited to see this one all put together and see how the color play off each other.